Following a now established tradition for the Autumn Term, representatives from year 6 at Junior School attended the third GDST Junior Schools’ Maths conference in the Andrew Wiles’ Building Mathematical Institute at Oxford University. 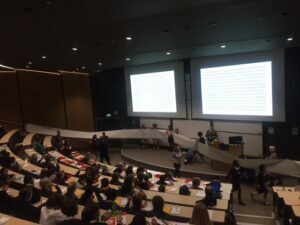 The day was a memorable experience for the young mathematicians who were not only excited by being at Oxford University but were thrilled at immersing themselves in a full day of mathematical thought, collaborative work and fun problem solving activities. They also heard inspiring talks on the history of coding and how codes help banks to maintain tight security standards. 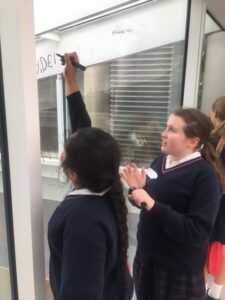 Part of the day was focussed on activities that required the girls to work with their peers from other GDST schools, solving a variety of coding problems. 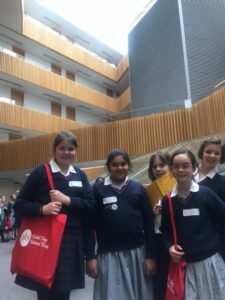 They also took part in a tour of the Institute and learned how the environment and the interior design help the mathematicians to work in focused and harmonious manner. 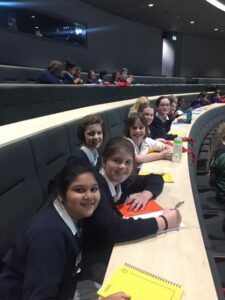 The highlight of the day was the inter-schools quiz, where the girls’ competitive nature and their love of maths truly came to life. 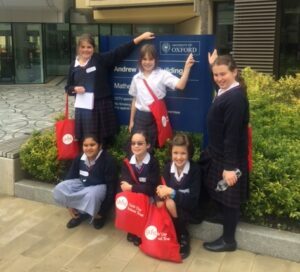 The questions were challenging but that didn’t stop them from having a go and doing their very best. 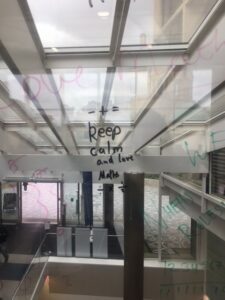 They certainly did the school proud.